Berlin Rye. Photo: Stanley Ginsberg/The Rye Baker. A number of you, our dear readers, said you’d have liked to have attended the rye class this past weekend taught by Stanley Ginsberg if only you weren’t thousands of miles away. Short of putting Stanley on tour, the next best thing is to take a look at his detailed rye blog which I neglected to mention in my last post. There are enough recipes there to keep you busy for months. The bread recipe we made on Saturday was the Berlin rye pictured above. You can find that recipe here. I’ve had to take a break from baking, but when I get back to it I’m going to specialize in rye exclusively. Why? You just can’t find a decent rye loaf for sale even in the big city. You gotta make it yourself! Hawaiian squash farmer Anna Peach of Squash and Awe Farm. Ashley Madrone who represents Mycopia Mushrooms and Bay Area Green Tours. Dave Miller at work. Photo by Josey Baker. The highlight of the National Heirloom Expo, for me, was running into three people who epitomize the value of dedication to a craft. The moral significance of work that grapples with material things may lie in the simple fact that such things lie outside the self. A washing machine, for example, surely exists to serve our needs, but in contending with one that is broken, you have to ask what it needs. At such a moment, technology is no longer a means by which our mastery of the world is extended, but an affront to our usual self-absorption. Constantly seeking self-affirmation, the narcissist views everything as an extension of his will, and therefore has only a tenuous grasp on the world of objects as something independent. He is prone to magical thinking and delusions of omnipotence. A repairman, on the other hand, puts himself in the service of others, and fixes the things they depend on. His relationship to objects enacts a more solid sort of command, based on real understanding. For this very reason, his work also chastens the easy fantasy of mastery that permeates modern culture. The repairman has to begin each job by getting outside his own head and noticing things; he has to look carefully and listen to the ailing machine. The trio of craftspersons I ran into at the expo included a baker, a tomato farmer and a nursery owner. They share common qualities: humility, openness and an attention to detail. 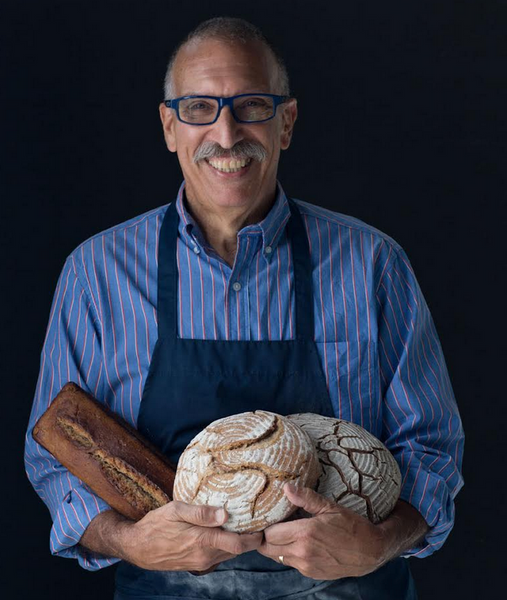 The baker is Dave Miller who I helped bring to LA to teach a series of classes. 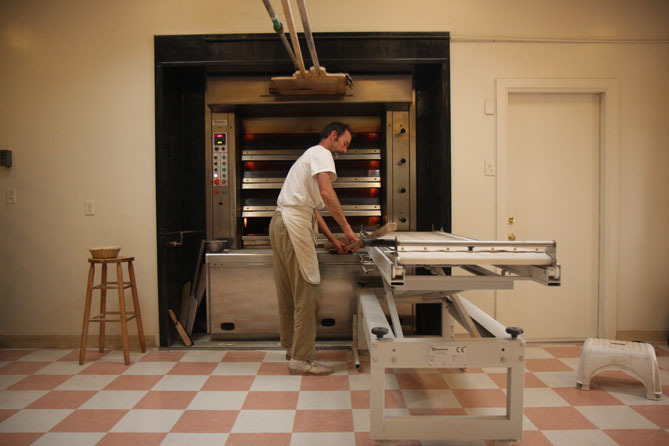 Miller specializes in whole grain breads made from freshly milled local grain. Most “whole grain” loaves baked in this country are actually white flour with food coloring, sugar and a small amount of stale whole grain flour. Miller can turn wet, sticky whole grain lumps into perfectly formed, airy loaves with one deft flick of the wrist. He has the skill to build an empire the size of La Brea Bakery but is happy working at a smaller scale selling loaves at the Chico farmer’s market once a week. I think he’s the most talented baker in the U.S. I also ran into tomato farmer and breeder Fred Hempel who was a guest on episode 79 of our podcast. Like Miller, Hempel has a humility that goes along with a sincere engagement with the natural world. Like Miller he’s more than happy to discuss his craft. A third person I met at the festival is Alice Doyle, owner of Log House Plants a wholesale nursery in Eugene Oregon. 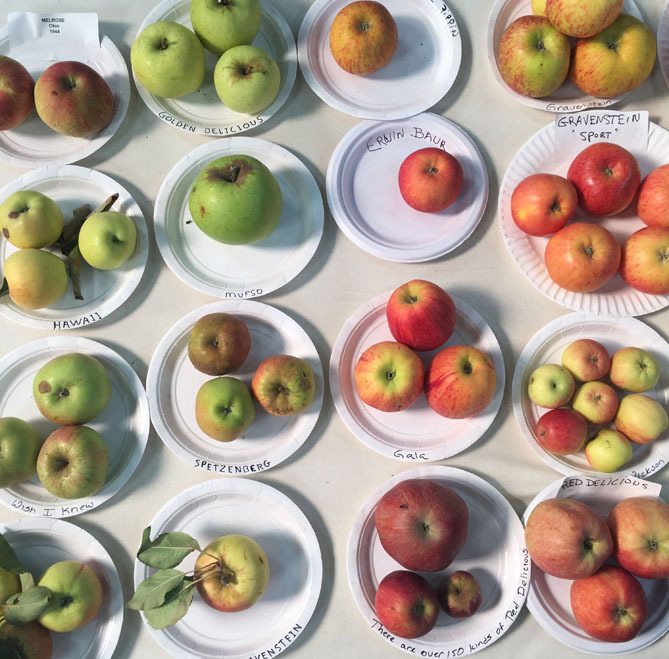 In her lecture she went alphabetically through a list of edible plants she thought were interesting. By the end of the hour, I think she reached the letter “J.” I wished we could have had a few more hours to get to “Z.” And this is another quality of the craftsperson, a selfless enthusiasm that can turn a list of vegetables into something way more interesting than what passes for entertainment in our culture. I’ll see if I can get Doyle on the podcast. We are, I think, entering a dangerous new age of extreme narcissism fueled, in part, by Silicon Valley tech bros who have figured out a business model based on self-affirmation. We need more people like Miller, Hempel and Doyle.